The head brewmaster likes to call the Spoetzl Brewery a "brand-new 107-year-old brewery," and once you stop to consider this pride and joy from Shiner, Texas, it's easy to see why. Founded in 1909 by Czech and German immigrant farmers, the historic brewery crowned its first brewmaster in Bavarian-born Kosmos Spoetzl, who went on to take ownership in the early 1900s. 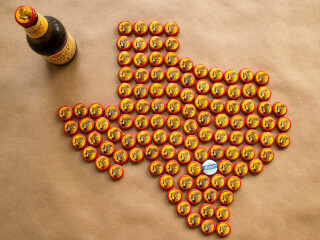 The high standards he set endured, and today the landmark brewery is proudly giving 49 states a true taste of Texas, with every drop brewed right in Shiner. But what most know as Spoetzl's most famous beer wasn't always its flagship brand. Shiner Bock wasn't actually brewed until 1913, and then only as a seasonal item. It wasn't until 1978 that the lightly hopped, American-style dark lager — brewed with rich roasted barley malt and German specialty hops — was available year-round. Improvement never stops at Spoetzl, from warehouse additions to brewing, bottling, and canning operations updates. Come check out the new upgrades to the oldest craft brewery in Texas, and see how Shiner became one of the beers that started it all.